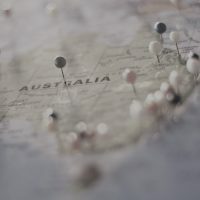 When relocating employees to another office overseas, the move itself is just the start of a series of procedures needed to avoid legal difficulties in the destination country. If your business is planning on bringing foreign qualified personnel to work in the Spanish headquarters, you will need to legalise the working situation of the employee. Workers will require a NIE (foreigner identification number), a local bank account, registration with the Social Security office and the Tax office, and potentially many other procedures. At Duguech & Dip we can help you with the relocation services once the employee has arrived in Spain. Whether your employees are travelling alone or with their families, we can take care of the whole legal process, from basic documentation to contract review and corrections. Once your employee arrives, we offer guidance in local labour laws, as applied to each particular case. We review and present the necessary documentation to enable your employee to enter and work in Spain. We will follow up during the stay, give legal aid if necessary or apply for an extension of the working period. Do you have any questions about Social Security and Tax Office registration for a foreign employee? When a Spanish company hires a foreign employee, they must legalise his/her employment or risk tax penalties and social security errors. Let our experts guide you through it.